1. You're still on accutane - anything you see on your skin (such as red marks) could be a byproduct of accutane. 2. As you're on accutane - it's hard to give advice on what to do, as due to the nature of the drug - almost everything you do can interact with the drug (as it thins your skin out a lot). 4. I would personally ask a dermatologist what to do (possibly something like retin a may help). You should also wait 6 months after stopping accutane before starting any new aggressive skincare stuff. So the redness could be due to the accutane itself? I probably underestimate the effects of accutane as I really have no side effects other than dry lips. I asked my derm and he said that it will fade eventually and when I'm middle aged you wouldn't be able to tell that I even had any acne at all. This isn't good enough for me as I'm 18 and want to look good when going out. I mention it to friends and family and they said they don't even notice it but I still feel self conscious when going out and can't bare to look in the mirror! 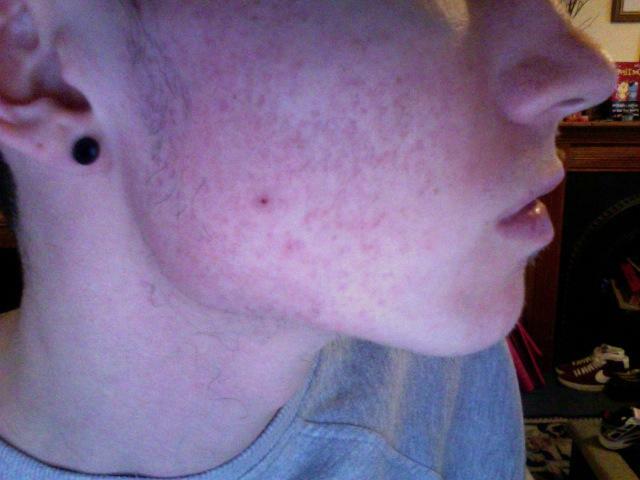 And the funny thing is the problem isn't even the acne, the problem's been these red marks for over a year now. Thanks a lot for the reply! hopefully when I've finished my course I'll have more options. I was considering giving bio oil a go.